Alexandria has gone from "one, two, free" to "one, two, three". Little steps. She was very proud of herself. She was reading a book and counting and I said, "Wow, you said the number three very well!" 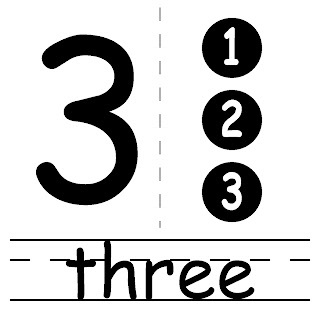 She smiled and continued on, and looked for that praise (trying to be nonchalant) whenever she said "three" again.